Product development and its management in the competitive marketplace have become one of the principal determinants of performance of firms. In product conceptualization, customer requirements play a crucial role. In the competitive and globalized business environment, one decisive factor for a company to out-perform its competitors is its ability to incorporate customer preferences in new product development projects. 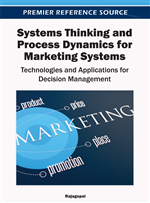 This chapter discusses the role of systems thinking in developing new products and establishing an effective performance measurement system in the firms. Various perspectives of product innovation, performance criteria, customer-centric product development, and managing products in the bottom line markets have also been discussed in the chapter. The factors influencing strategic positioning of products in competitive markets that are required in creating a market-focused approach are also deliberated in the chapter. The product is invariably complex and the planning process, its attention to detail notwithstanding, is unlikely to uncover all the relevant conflicts and problems in advance. To meet an objective such as `the door on the new luxury sedan should create a feeling of solidity and security when it closes' may be difficult, involving the application of technical expertise and a great deal of negotiation with engineers working on the body, electrical system, stamping, and assembly. Though planning establishes overall direction and architecture, product engineering must still confront numerous conflicts and trade-offs in local components and subsystems. Many companies consider the process of new product development as colossal due to organizational and market led intricacies. However, the process of new product development can be made easier by rationally dividing it into two parts- an early stage, which focuses on evaluating prospects and eliminating bad bets, and a late stage that optimizes the market potential. Eli Lilly, a multinational pharmaceutical company, following this approach, designed and piloted Chorus, an autonomous unit dedicated solely to the early stage. Chorus has significantly improved efficiency of new product development and productivity at Lilly. Although the unit absorbs just one-tenth of Lilly's investment in early-stage development, it delivers a substantially greater fraction of the molecules slated for late second phase trials at almost twice the speed and less than a third of the cost of the standard process, sometimes shaving as much as two years off the usual development time (Bonabeau et al., 2008). The companies should strengthen their marketing network simultaneously while launching the new products. It has been observed that the failure of new products is often due to the lack of organizational teamwork. Thus it is required to inculcate team behavior in developing the new products and popularizing them in the test market segments. The results of the test markets may be further carried out in the larger segments. The process of new product development is exhibited in Figure 1. It is essential that a company conducts brainstorming exercise for understanding the basic and secondary needs for the product, listing the product attributes, and identifying the forced relationship of other goods and services with the new product.